On a wet Sunday afternoon recently, my daughter suggested our family should watch a DVD of the film The Young Victoria. As usual, I had no say in the matter, because I would normally like watching sport, and I thought I was going to be bored stiff for two hours. Despite my early trepidation I actually enjoyed watching the film, because it completely changed my perception of Queen Victoria. My previous view of this long lived monarch was of a small, feisty and bossy person, who didn’t smile a lot and liked to dress in black clothes. In contrast to my early opinion, the film The Young Victoria successfully dispelled the myth of her being a sombre Queen, but in a fact convinced me she was a confident and strong willed person with a warm heart. I also found out during my research that she never actually said “We Are Not Amused”. Her enduring romance with the young Prince Albert of Saxe-Coburg and Gotha was very enchanting. After their marriage in 1840 they were truly devoted to each other, until Albert’s untimely death in 1861. 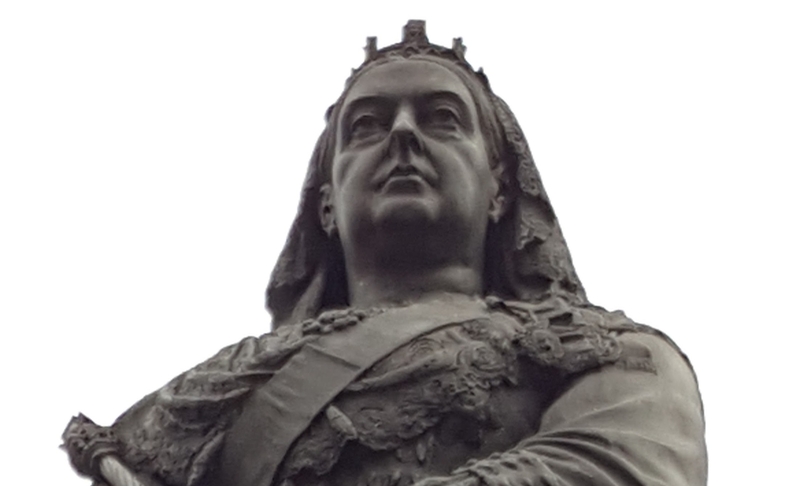 After this, Queen Victoria was grief stricken for many years. Queen Victoria was queen of Great Britain for 63 years – to date, the second longest than any other British monarch (Queen Elizabeth II is currently the longest) Victoria’s reign saw great cultural expansion; advances in industry, science and communications; and the buildings of railways and the London Underground. She died in England in 1901. In terms of cleaning and sanitation, the Victorian period underwent fundamental change, particularly with the expansion of industry and the growth of cities. The Industrial Revolution in the Victorian saw rapid change, whereby Britain became an economic powerhouse. Some enlightened industrialists realised they would get better productivity from their workers if they created a clean and safer workplace and a decent place to live. One notable example was the creation of Bournville by members of the Cadbury family in Birmingham in the latter part of the 19th century They were successful in creating a model village, whereby the factory workers could live in well built houses and charge a low rent. Another fine example was the creation of Salts Mill and the adjoining Saltaire village (near Bradford) developed by the Sir Titus Salt in 1853. The village of Saltaire still exists today, and is now recognised by UNESCO for its cultural heritage. Self-improvement, hard work and progress were of paramount importance to Victorian Britain. Due to the growth of the middle class and increasing wealth through industry, social values changed considerably. Home, hearth and family life became central to well-being, while there was a great desire to raise living standards. The Victorian household was a place where the family would congregate around the piano and sing songs. Domesticity was a virtue encouraged in all women and a middle class wife absorbed herself in home- making or genteel pursuits such as needlework and reading. The rise of the middle class meant domestic servants (mostly women) would do the bulk of household chores including cooking the family meal or cleaning. Personally speaking I am not sure my own family could hack the Victorian lifestyle, although to be perfectly honest it would probably do them no harm at all, and detox themselves from social media – imagine that! We all love to have a quick shower in the morning. A quick nip and out of the shower cubicle, followed by a drying off with a towel and Bob’s your uncle – a nifty way of keeping clean and energy efficient as well. In much of the 19th century, personal cleaning was very eco-friendly. This included the Victorian period, whereby personal hygiene was highly valued. The Stand Up Wash was commonly used by rich and poor alike, whether with hot or cold water. Pour small amount of water into the bowl. Dip the flannel into the water then wring out. Apply soap and scrub the body – one section at a time. Scrub, rinse and dry each part of the body before moving to the next. Dispose the dirty water in the pail. This method of self-cleaning allowed a person to remain almost fully dressed whilst washing because each area of the body was undressed, washed and re-dressed before the next was exposed. Cleaning with style and such decorum! In the Victorian era, personal hygiene underwent a quiet revolution. Louis Pasteur in 1860 demonstrated at the start of 1860’s that decay was caused living organisms present in the air, so if germs were everywhere, then cleaning became more important than ever. A clean body neither generated bad airs nor harboured germs. Carbolic acid remained one of the most popular disinfectants. Sold in liquid and powdered form at pharmacist’s shops, but also pre-mixed with soap , it offered a way of cleaning that went beyond looking and smelling pleasant. It’s own distinctive smell, came to mean ‘clean’ in the new, sterile sense of the world. A personal maid who smelt of carbolic soap came to be one who could be trusted and were more employable. Today, a similar product would be Coal Tar soap, manufactured by Wright’s. The active ingredient would be tea-tree oil.